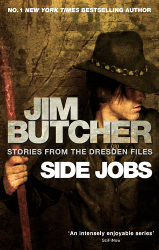 As the title suggests, Side Jobs isn’t a new addition to the Dresden Files series but a collection of previously published short stories (most from other anthologies). If you’re an avid follower of the series this won’t deter you from buying it, if only for the last story, ‘Aftermath’—the carrot that Butcher tormented readers with by stating that it takes place 45 minutes after Changes. If you’re all caught up you know how big, juicy and tasty this carrot would be to any Dresden-starved fan. Butcher explains in his introduction (there’s one for each story and they’re highly entertaining in their own right!) that it’s a ‘novice effort’. For a first attempt at writing professionally it really isn’t that bad—though yes, it isn’t great—and shows hints of his future style. There’s a character named Nick that I don’t think we ever see again in the series (correct me if I’m wrong, it’s been a while since I read book 1, but I’m 99% sure he got the boot) and without spoiling anything, Harry was hired to find a missing girl. It’s so short there’s not much I can add without spoiling anything. This one is even shorter than ‘A Restoration of Faith’—short as in only a little more than two pages. In the intro, Butcher states that it was for his editor who needed it for free sampler booklets, and it was written very last minute at 2 am the day before its deadline. I don’t think he even remembers writing it. It’s one hilarious read because it stars Harry’s (almost) all-knowing and inherently dirty-minded human skull, Bob. Basically it’s a conversation between the two about Harry’s business advertisement in the Yellow Pages. This story, set during the impending nuptials between self-made werewolves William ‘Billy’ Borden and Georgia McAlister, might be one of my favourites in this book. It starts off with Harry fitting for a tux—that alone is hilarious and it’s also the first time Murphy meets Bob’s lecherous self. When the bride-to-be goes missing the fun begins. It’s a very fairy tale-like read and if you enjoy those, you’ll love this one. I remember reading this in the original anthology and I liked seeing more of the relationship between Harry and Thomas. As neither one is used to having the other around it’s so awkward and sweet. There’s even some LARPing (live action role playing for the not so nerdy among us) involved. Fast paced and as is the predictable reaction to Harry’s wisecracking, laugh out loud funny. No, I’ve never read Beowulf (but I’ve seen the animated movie!) so the reference wasn’t clear to me and no, you don’t need to have read it to enjoy this, though allusions to the Anglo-Saxon epic are made (and, mercifully, explained). There’s a honeymoon with a missing bride, mead and a certain statuesque blonde employee of Gentleman Marcone who helps out our even taller hero. What does Harry do on his day off? Well, if this story is anything to go by, never what he has in mind apparently. The problems he encounters are trivial but extremely amusing- which is exactly the way it was intended. Less UF and horror, more comedy and Butcher does love to torture (his words not mine) poor Harry. Told from white court vampire slash faux-French hairstylist Thomas Raith’s POV, Margaret LeFey’s more obviously good-looking son, this story was I’m afraid to say, underwhelming. He’s just not as readable as Harry but then he’s also not as snarky and I guess I look for that language when I pick up a Jim Butcher. Maybe it’s because this was written originally as a graphic novel and so the pictures would have added to the plot. 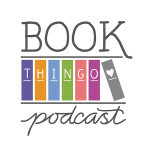 If you’re a fan of Thomas though—and I do love the guy—it’s great to finally see things the way he does and get a little more insight into vampire politics in the Dresden series. The main star of this short story is Michael Carpenter, who at this point in the series is a retired Knight of the Cross because of the injuries he sustained in Small Favour. Butcher mentions in the introduction that this was written with the ‘it’s the little things in life that make a difference’ saying as an inspiration and this definitely comes through. However, after reading the personal anecdote he used as an example, the ‘little things’ in the novella became all too obvious a plot device—but I may just be nitpicking. It’s a more heartfelt story than the others, with a focus on faith, which more often than not is explored whenever Michael or any other Knight of the Cross makes a cameo, and it’s just as insightful and tastefully handled as usual. Who here likes beer? Personally I don’t, but to each his own and this one begins and ends with, you guessed it, beer. There’s been a brawl at McAnnally’s pub, which is neutral ground for all the major powers of the magical world—signatories of the Unseelie Accords (think Geneva Convention). All Harry wants to do is get some beer but he’s the only one who doesn’t *cue Law & Order sound effect*…this is his story. I saw the title and thought, Please let it be between Harry and Murphy, and what do you know, it is (yay!). These two have had the will-they-or-won’t-they thing from the start, and by book 11 the tension has all but given Murphy/Dresden shippers quite a bad case of blue balls. In this short, Murphy and Dresden investigate a seemingly random love spell running amok in the city. You can work it out from there. Questions will be answered about the romantic relationship, or more appropriately the lack thereof, between Murphy and Dresden, and to sum things up…refer to the title. I was shaking to get my hands on this book just to read this story. It’s the first time we see through Murphy’s point of view and on that score it didn’t disappoint (Murphy is made of awesome and this only serves to further highlight that fact), but it wasn’t the story I was expecting. I guess the answers will have to wait until Ghost Story. Due to the repercussions of the events that occurred in Changes, Murphy, while trying to live with said changes, is contacted by werewolf Billy (though Murphy refers to him as Will) for help to find his missing wife Georgia. To cut a short story even shorter, Gentleman Marcone and his gang make a cameo and Butcher proves just how much action and heart he can pack into a novella starring Karrin Murphy. It’s great to finally get inside Murphy’s head, especially reading her translations of ‘Martian’ speak (aka man talk) in which, having been a cop for so long, she’s well versed. Despite the fact that I have nothing but love and ardent admiration for a powerhouse of a female character barely over five feet tall, being of a similar fun-sized stature myself, Harry’s presence is sorely missed. Though I guess that was kind of the point. I don’t recommend picking up Side Jobs if you’ve never read any of the Dresden books (shame on you! Especially if you enjoy UF) or if you’re behind—unless you only read the short stories set between books if that’s what you’re up to because: a) spoilers abound; b) there are subtle allusions to previous events that have occurred in the series so you won’t get the full effect without knowledge of the relevant back story; c) see a and b. 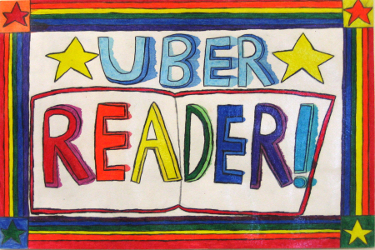 Of course you don’t have to listen to me, but my conscience is assuaged that I did what I could to maximise your reading experience of this fantastic UF series. 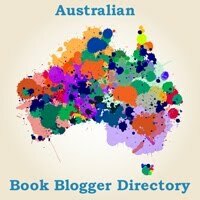 Tagged 2011 releases, anthology, dresden files, jim butcher. Oh Heorot and Something Borrowed are my two fave shorts! I really must play catch up with this series. I am not going to mention, how far behind I am. 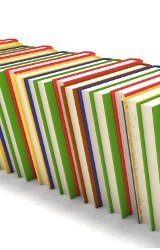 I’ve heard good things about this series, but…that’s a lot of books to catch up on!